A friend of mine Vanessa always raves about her Dad’s cooking and she and her Mum are very lucky to have their meals cooked by him most nights. 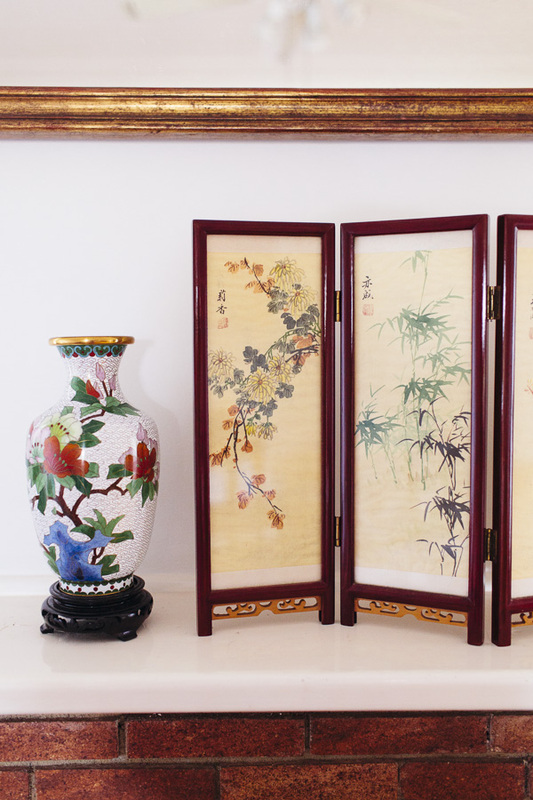 I went to visit them one Sunday evening and Mr Wong served up some hearty Cantonese staples from his souped-up family kitchen. 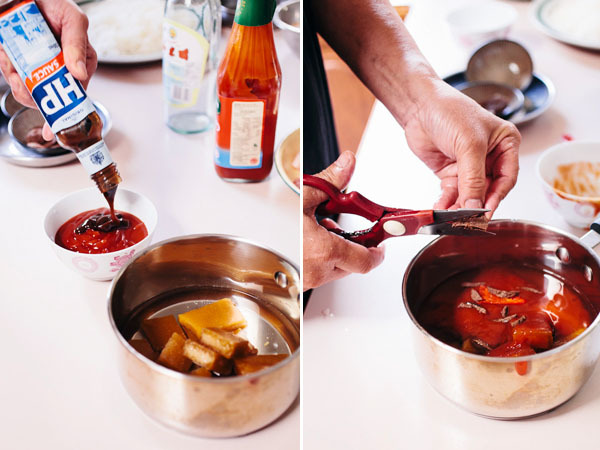 Put all the sauce ingredients in a saucepan and let it simmer on low heat until all the sugar blocks have diluted. 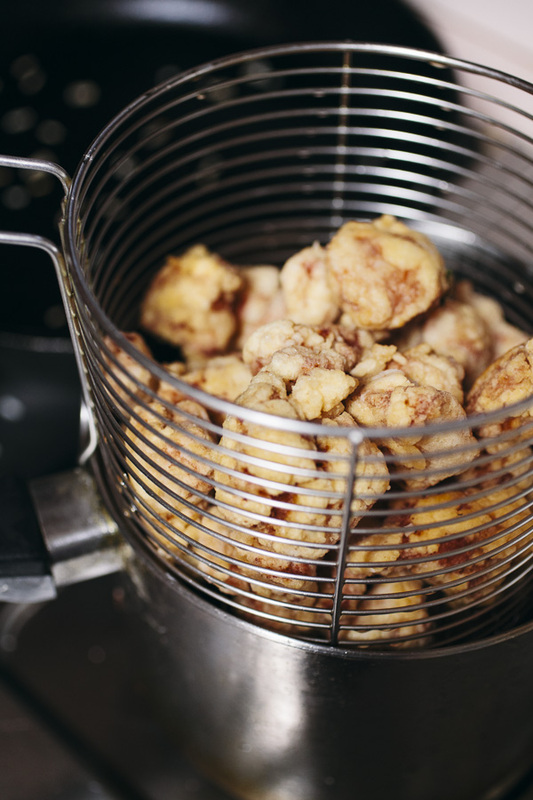 Coat the pork pieces well with beaten eggs and potato starch then deep fry in the hot wok until the colour turns slightly golden. 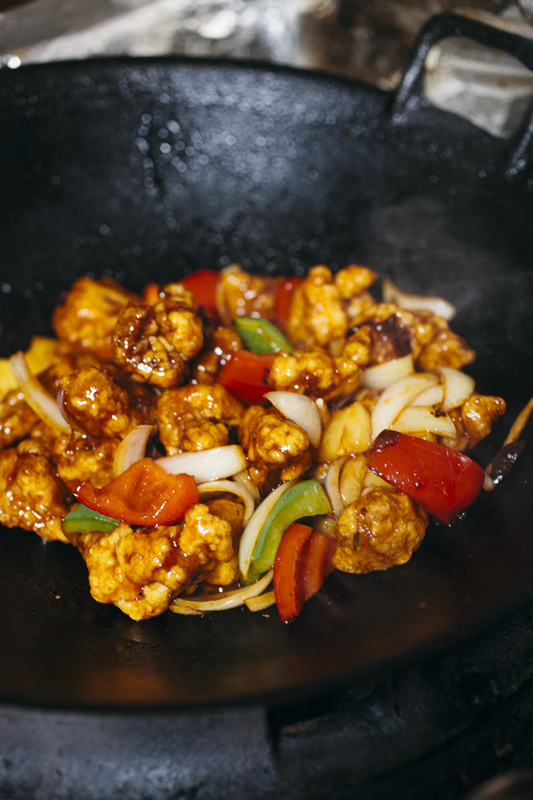 While the wok is still hot, toss the rest of the ingredients with some vegetable oil then pour in the sauce. 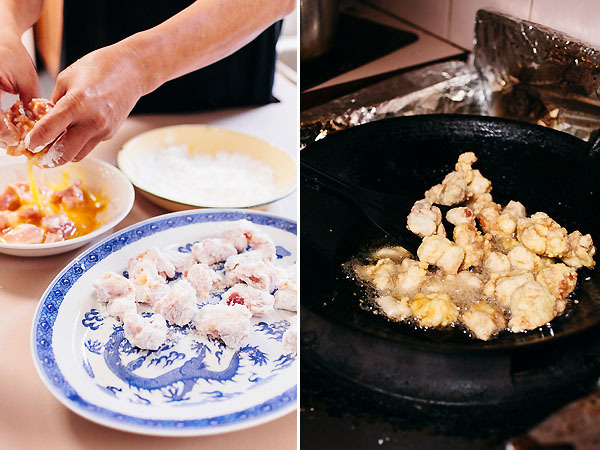 Follow with the fried pork pieces. 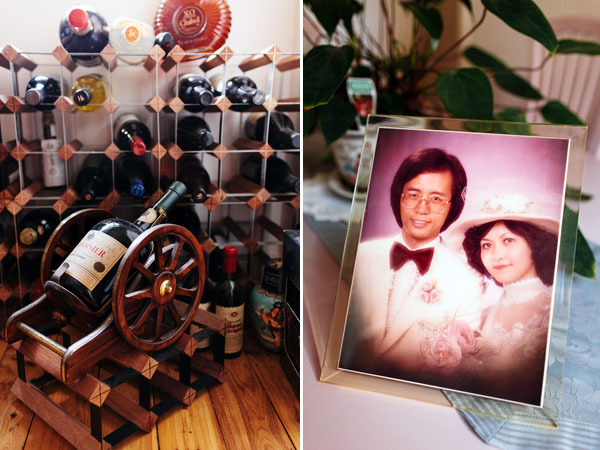 My friend Vanessa’s Dad is both the cook and the handyman of the household. 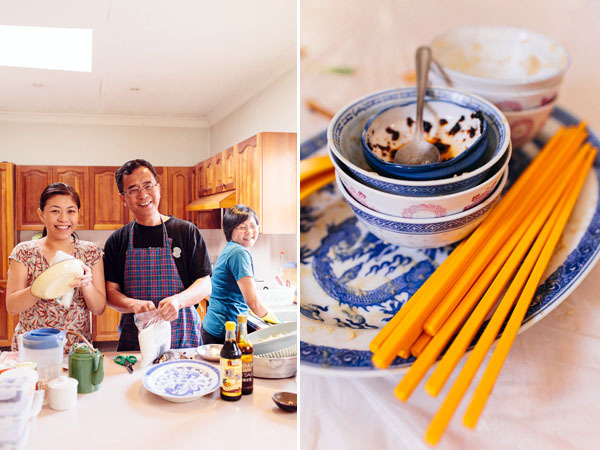 He warmly welcomed us into their family home in Epping (that he’s been constantly renovating using all sorts of recycled materials) and cooked up a delicious meal. 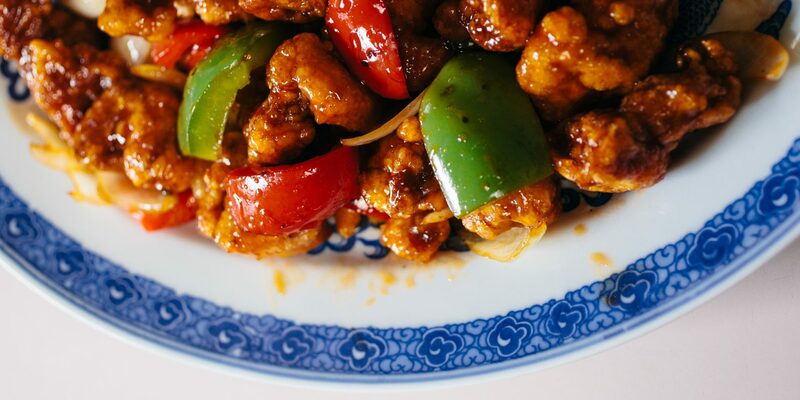 I was never a fan of sweet and sour pork but after trying Mr Wong’s version I am a total convert. 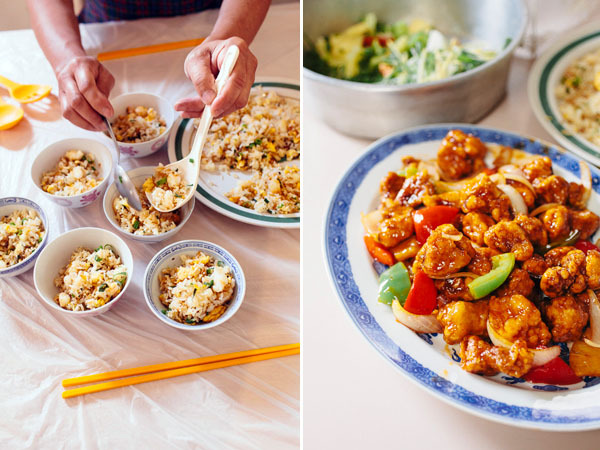 The two dishes featured in this post may sound common to your ears, however, it takes great skills (and a well oiled wok) to turn simple ingredients into amazing dishes. 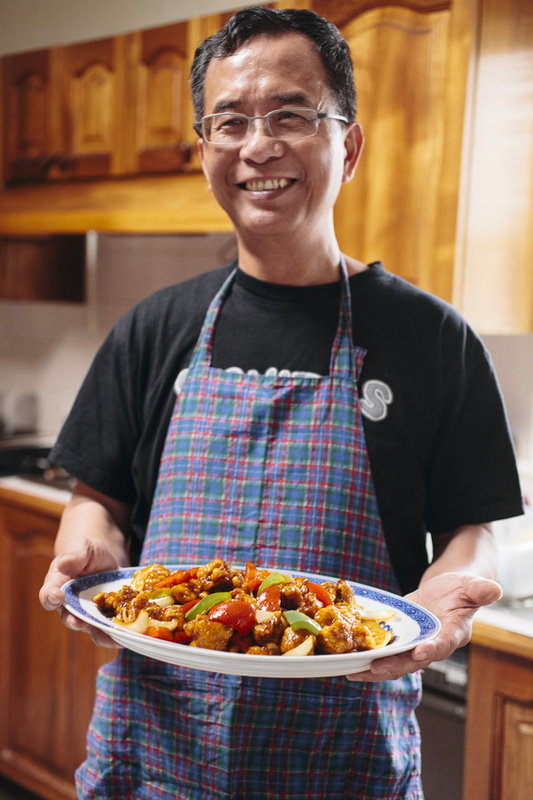 As Mr Wong said, for Chinese cooking – the combination of the right level of heat and timing are very crucial. 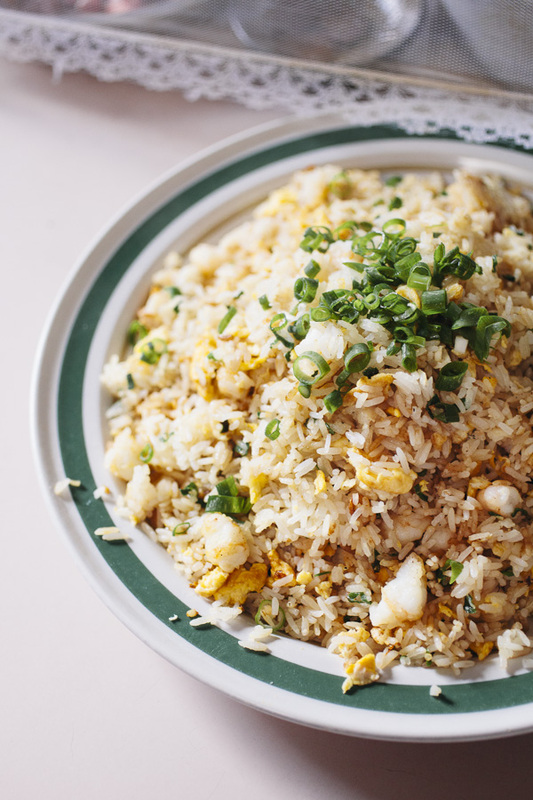 Prawn and egg fried rice – the perfect accompanying dish for sweet and sour pork. Mr Wong preparing the next course! 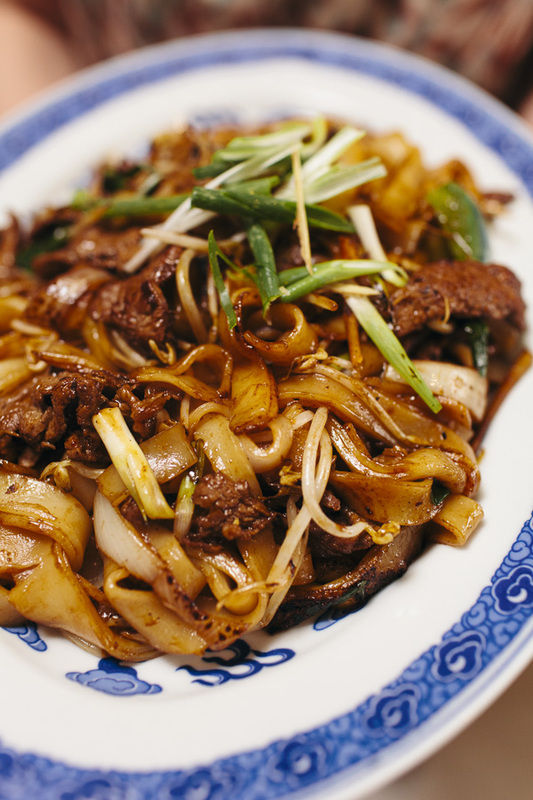 Quick fry the marinated beef pieces with a bit of oil in the hot wok then mix in the rice noodle – season with dark and light soy sauce. 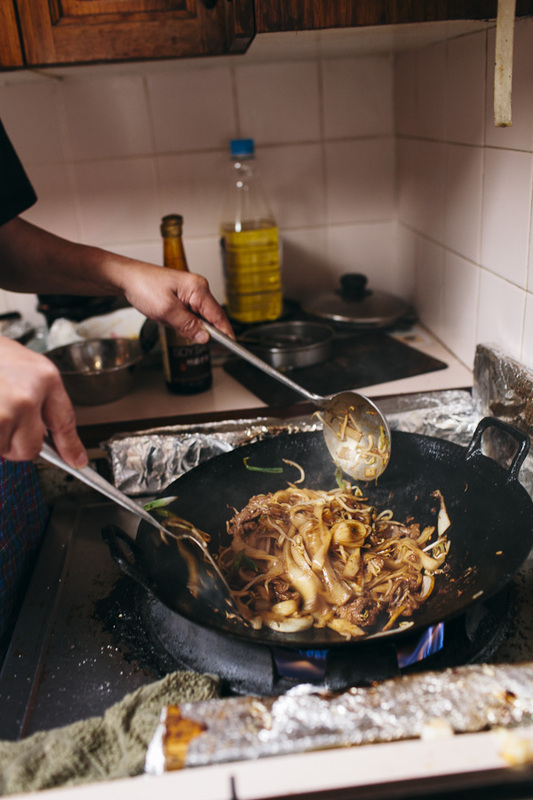 Tossing the noodle frequently will help loosen them as well as coat them with the beautiful smokey flavours the hot wok has to offer. 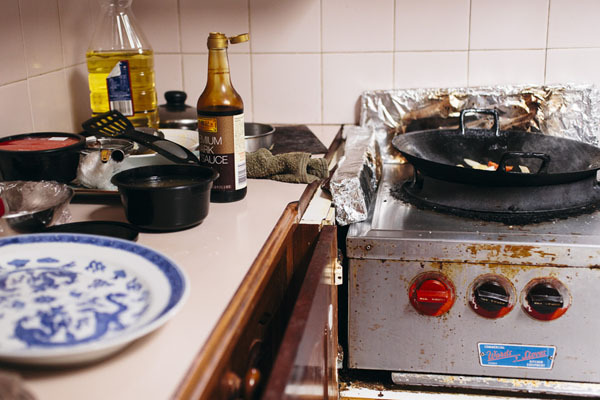 This commercial cooking stove was installed in Mr Wong’s kitchen during the 80’s – it has been serving the family well ever since. The proud champion jockey in this picture was Vanessa’s great grandfather and the gentleman on the right with red tie was Vanessa’s great great grandfather who was also the trainer. 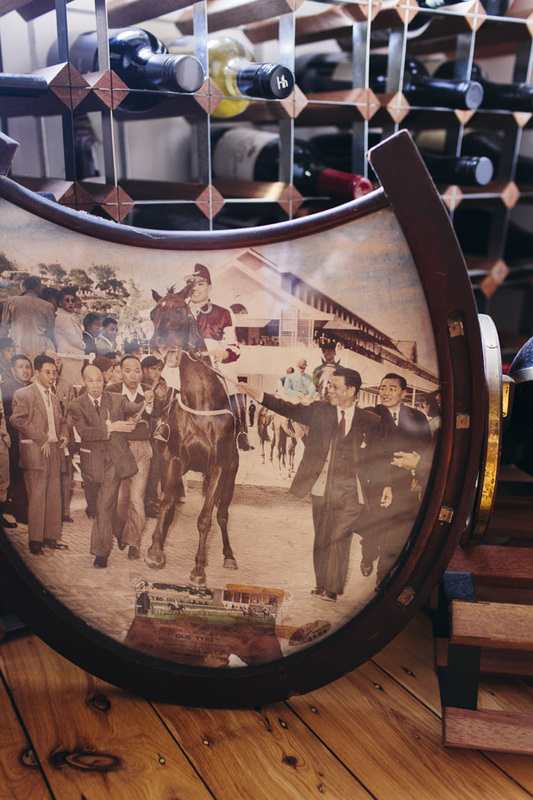 Photograph was taken in 1953 in Happy Valley, Hong Kong. 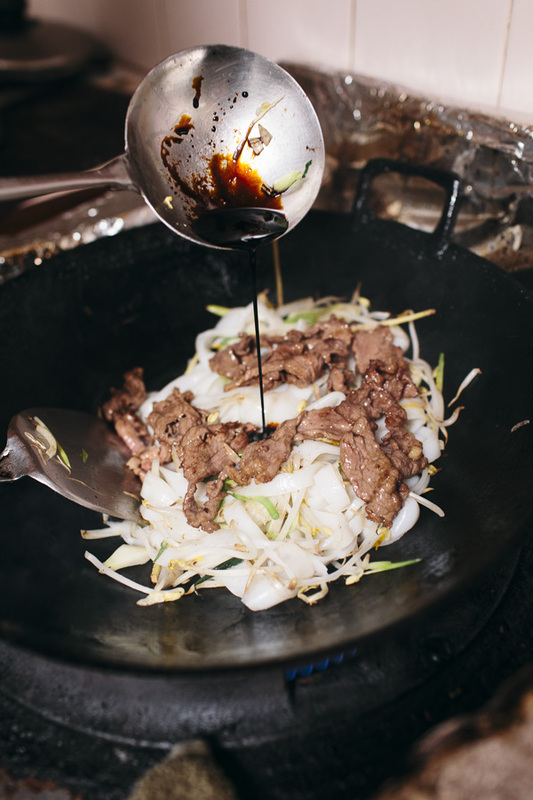 Marinate the beef with 1 tsp light soy sauce and 1 tsp corn flour. 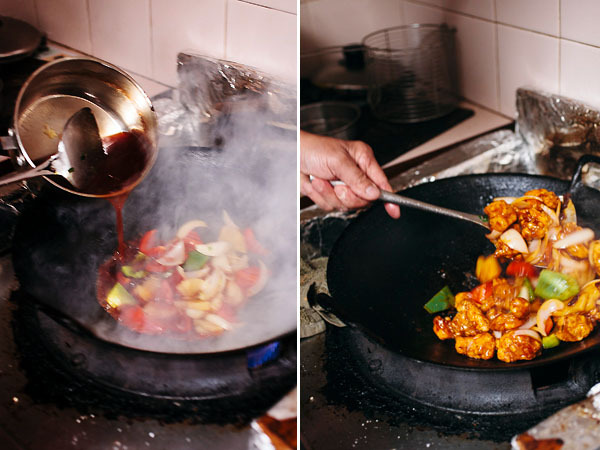 Stir fry in wok on high heat with vegetable oil until browned and then remove from wok. 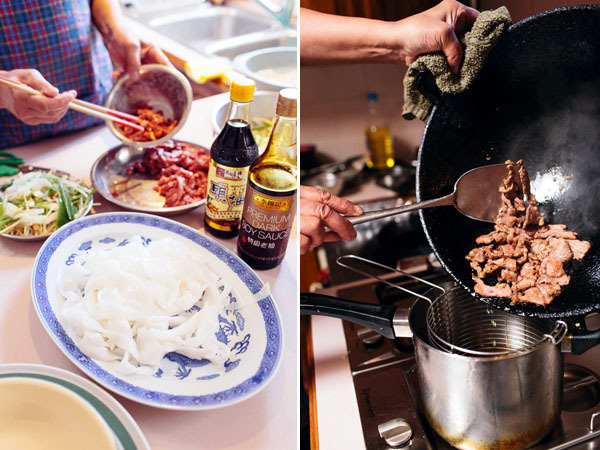 Stir into the wok the rice noodle, ginger, onion and bean sprout for about 5 minutes. Mix in the beef and add both dark and light soy sauce. 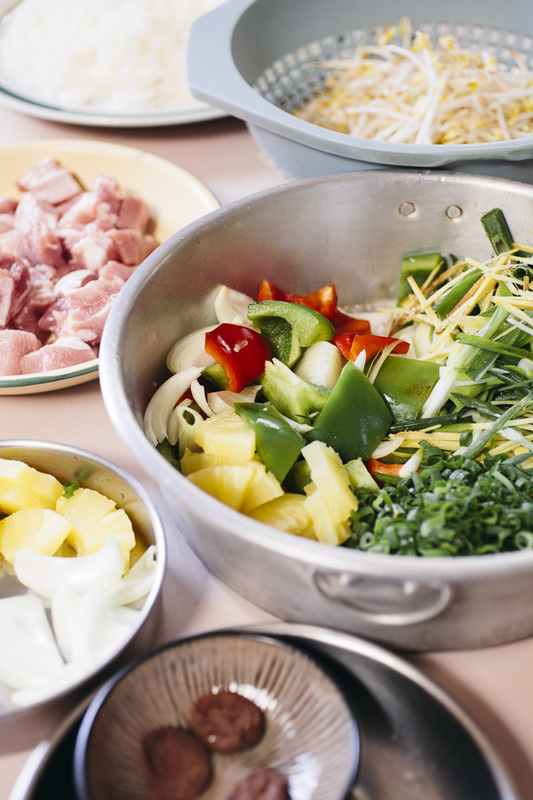 Keep stir frying for another couple of minutes until all is well coated with the sauces. Season with salt and pepper to taste and garnish with shallots. For the sauce. 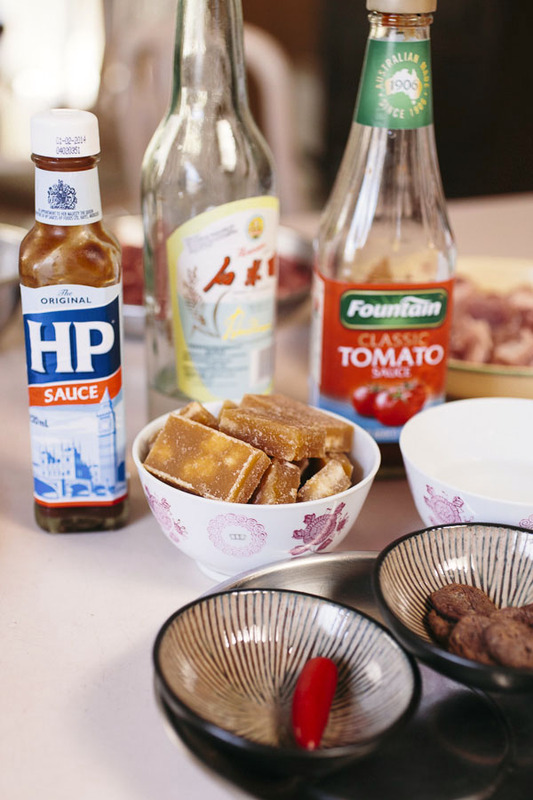 Mix the white vinegar, brown sugar, tomato & HP sauce, chill and cut up dried plum in a saucepan and combine. Leave on stove on low heat and let it simmer slowly until all the sugar has melted and creates a thick-ish sauce texture. 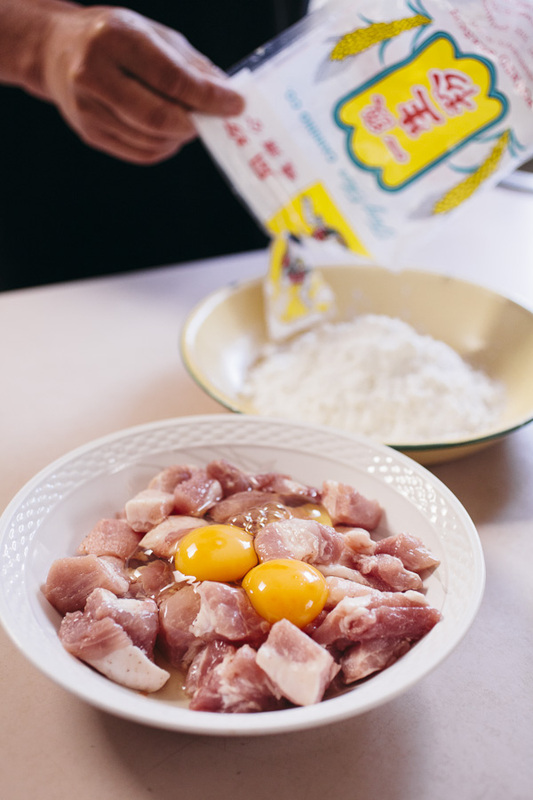 Cut the fat trimmed pork belly into cubes about 2″ thick, marinate with salt and pepper then coat well with 2 beaten eggs and potato starch. Deep fry the pork for ten minutes or until slightly golden then drain the oil. 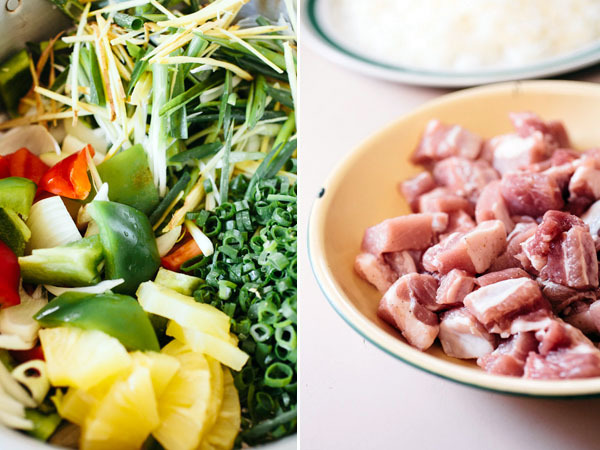 Stir fry on high heat the rest of the ingredients such as capsicum, pineapple and onion, pour in the sauce and lastly the fried pork pieces. Keep stirring for another few minutes so all the ingredients are coated well with the sauce. 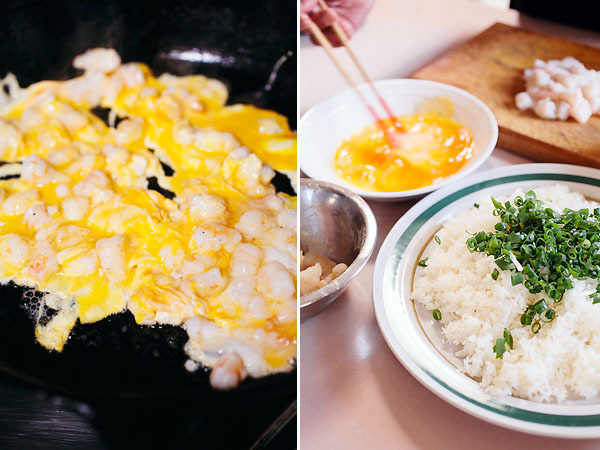 Serve with white jasmine rice or the prawn and egg fried rice like The Wongs do it.